When you choose to undergo plastic surgery, there are certain factors which are important to ensuring safe surgery. Are you pursuing the treatment for the right reasons? Are you confident that the Surgeon you have chosen specialises in your specific area of concern? Is your surgeon an appropriately accredited and a member of the British Association of Aesthetic Plastic Surgeons (BAAPS)? Have you factored in the potential risks and side-effects that come with your chosen procedure? It is important to consult with a BAAPS accredited plastic surgeon. This is the only body accredited by the Royal College of Surgeons to represent fully qualified Plastic Surgeons. These surgeons will also be NHS Consultants or will have been in the past. This ensures breadth of experience and formal accreditation in their field. BAAPS is also the only organisation to audit the safety data of their surgeons. It is important to realise that anyone can set up in Harley Street and call themselves a Plastic Surgeon. There are surgeons from all over Europe taking advantage of the laxity in UK rules of practice and many with dubious qualifications and very limited experience. Many of these surgeons work for commercial cosmetic clinics or independently. How can you tell if a Plastic surgeon is qualified? Look for the FRCS qualification and Specialist Accreditation in Surgery on the GMC register. It is also important to remember that there are now many doctors who are not surgically qualified to offer liposuction, VASER liposuction and limited facelifts etc. It is easy for these practitioners to form their own association of members with letters after their names and this has the effect of providing an umbrella organisation which appears bona fide. The guidelines from the Royal College of Surgeons is that only those doctors with a postgraduate qualification in Surgery such as the FRCS should be allowed to offer surgical procedures. However, the General Medical Council rules of medical licencing do not stipulate this strictly and therefore such doctors are able to offer liposuction without any surgical training. In many cases, they have only seen a few procedures before offering them and most certainly have not had years of training and experience behind them. 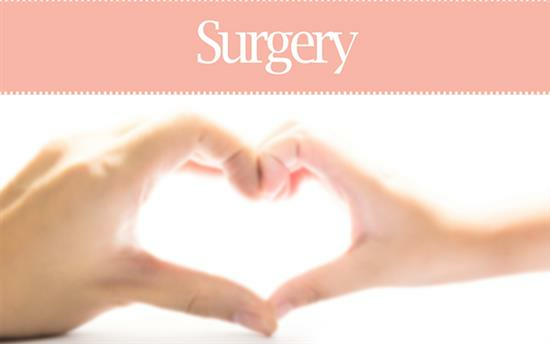 It is therefore important to ensure that you are consulting with a true surgeon. A Plastic Surgeon has had about 10 years training ‘purely’ in plastic surgery. You should look for the FRCS(Plast) qualification after their name which signifies formal examination in all the fields of Plastic Surgery including Reconstructive and Plastic Surgery. This is very different to a Breast Oncoplastic Surgeon who has spent their whole career training in the field of breast cancer and treatment, with one year of breast-related plastic surgery as a side interest. The same applies to ENT surgeons or maxillofacial surgeons who now call themselves Facial Plastic Surgeons. Again, this involves many years of training in hearing problems, voice disorders, sinus related problems or dentistry. Only one year may be spent in Plastic related disciplines but such surgeons are allowed to call themselves Facial Plastic Surgeons. There are even examples of ENT surgeons offering liposuction and gynaecologists offering breast implants! If you do your homework on your surgeon’s background you will be able to make your own conclusions. How to prepare for your consultation? First of all, your consultation should be with your surgeon and not a nurse specialist. You should make a list of questions. The consultation should involve a discussion of your general health, previous surgery and the risks of surgery. It should also involve a discussion on the realistic result you should expect. You should not be offered inducements or time-limited offers for surgery. These are against Royal College of Surgeon’s guidelines and are unethical when surgical treatments are being considered. You should be able to freely make an informed choice about whether to proceed. Your surgeon will be able to give very specific information depending on each type of procedure. In general, however, it is important not to be overweight since this increases the risks with many Plastic Surgery operations. It is imperative to stop smoking with most procedures since there is a very high risk of wound healing complications. You should not take any aspirin-like medication for two weeks prior to surgery to reduce the risk of bleeding. Many herbal remedies and supplements can increase bleeding risk and so you should make a full disclosure regarding these and stop these if advised to do so. Alcohol should be avoided for a few days prior to surgery. In some situations, the oral contraceptive pill can increase the risk of clots in the legs and you will usually be advised to stop taking this prior to surgery. After treatment, you should give yourself the full time you have been allocated in order to allow your body to recover properly – don’t try and rush the process. You might think that you’re healing ahead of schedule or that you feel fine to return to work, but nonetheless, you should not take any definitive steps before you speak with your surgeon. Each kind of procedure will vary in terms of the recovery period and before you can embark on exercise. As with the preparative steps for surgery, postoperative patients should not smoke or take aspirin after their treatment. You should also follow any specific instructions for aftercare you have been given, which may include dressings you are required to wear, sleeping in an upright position or going back to the hospital for stitches removing. One question which is often asked is if you can fly after surgery. This will vary from operation to operation but you should always remain able to visit your surgeon in the first two to three weeks after surgery for postoperative checks. If all has healed then it is acceptable to travel with appropriate caution. However, remember that should there be any late issues with wound healing problems then you may have to fly back. Of course, the main thing you can do to ensure that your surgery runs smoothly is to have a thorough consultation. Your surgeon will reiterate all the above information plus give specific information related to the individual procedure. You’ll be able to ask any questions you may have about the surgery – including factors like scarring, anaesthetic and recovery procedure concerns. The best way to ensure that you have a full, quick and healthy recovery is to be well informed on the procedure and take on board all the advice provided at consultation. Your practitioner will also give you literature on your chosen surgery and the preparative and recovery steps you must take to ensure everything runs smoothly, which you can take away and digest in your own time. A consultation is also a good opportunity for you to get to know your practitioner and build a rapport with them. Patients consistently report that feeling comfortable around their surgeon is one of the central factors to feeling confident and peaceful going forward with plastic surgery.